Made from rotoform, an environmentally-friendly marine grade polymer product. With a modern or retro appearance, the Mobilis Curved Corner Module may be mixed and matched with other Mobilis pieces for an array of seating combinations to accommodate the diverse social areas of today's resorts and luxury hotels. 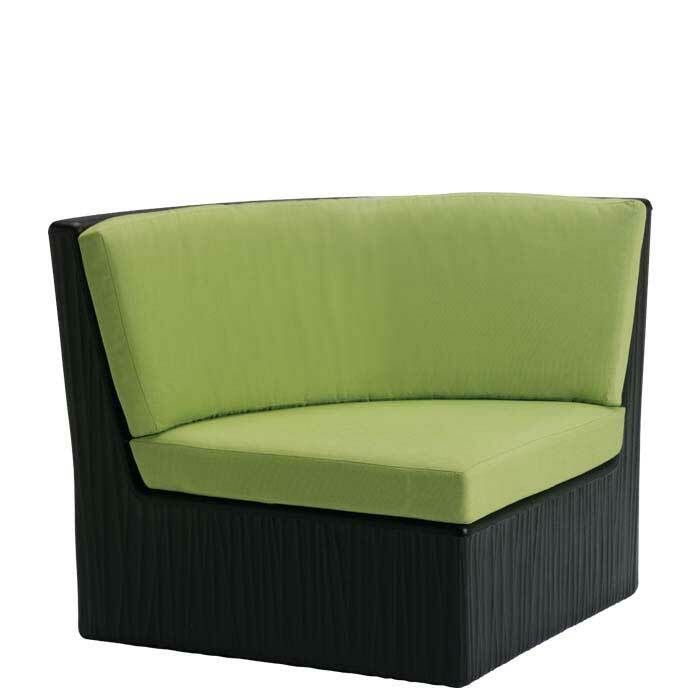 The Mobilis Curved Corner Module is made from rotoform, a marine grade polymer product, and is available in an array of bright colors with cushions covered in one of Tropitone's fabrics. During the manufacturing process, minimal scrap is generated and the polymer molds are recycled resulting in the environmentally-friendly Mobilis Curved Corner Module. The Mobilis Collection offers outdoor modular seating which creates a versatile, visually interesting patio environment.